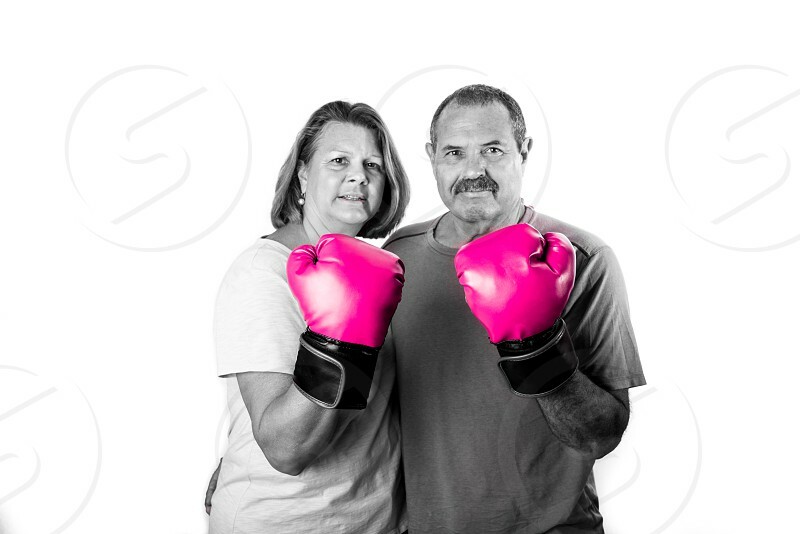 Husband and wife wearing pink boxing gloves in a studio setting. Breast cancer awareness. Survivor.